Stainless steel Bruce anchor on bow roller. This is a well kept cruising sports-boat. She is perfect for the Mediterranean. With two engines she will provide for relaxing passages. She also provides all the requirements to holiday onboard. She has been recently serviced so she is ready to go. in my opinion she merits viewing. 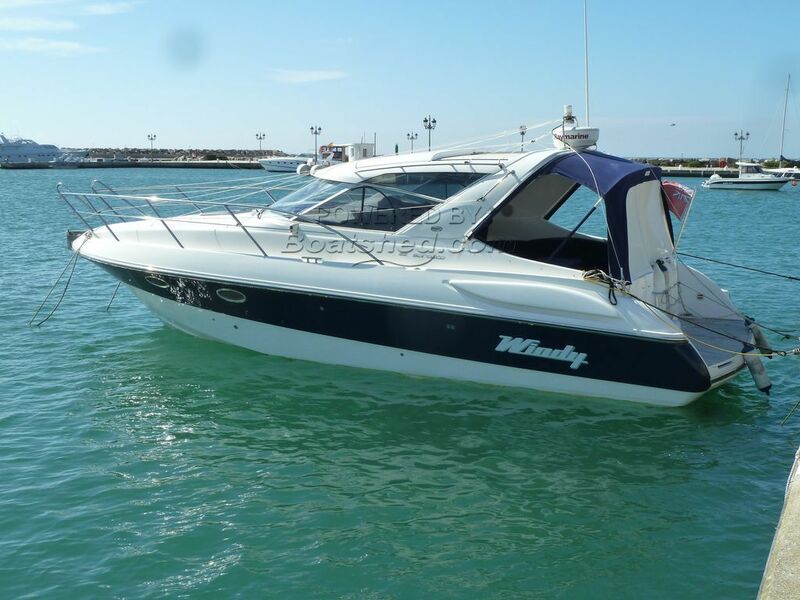 This Windy 32 Scirocco has been personally photographed and viewed by Andrew of Boatshed Gibraltar. Click here for contact details.